Here is this week's Mood Board! Pink is such a perfect companion for almost any metal. It's such a neutral color that can become cool or warm just by switching the metallic shade it is paired with. Again, the contrast of the hard metal paired with soft lace is what really grabs me in this photo. How about you, what do you pull from this one? 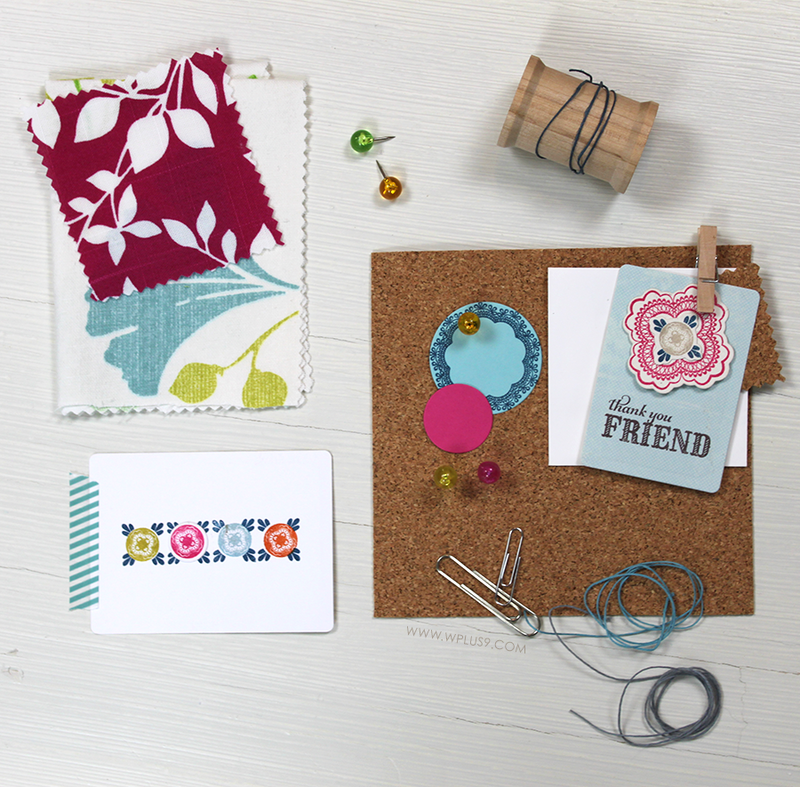 If you'd like to play along, use the mood board as a starting point for a card, tag, layout or any project...where ever the inspiration takes you! Use at least one Wplus9 product. Then link it up using the InLinkz widget below to share it and keep the inspiration flowing! Are you ready for this week's Monday Mood Board? I have fallen in love with this color combination. The stark contrast of colors paired with the soft textures in this mood board really send it over the top for me. Many of you have requested that we bring back a regularly scheduled challenge or inspiration post. Today I am happy to introduce Wplus9's Monday Mood Board! Every Monday, I will post an inspiration mood board. Some of them will be from previous cards I've made, and some will just be random loves. Who better to help us celebrate our 3rd Anniversary than the fine folks over at the CARDS Magazine blog?! Wplus9 Design Studio is proud to sponsor the February 2013 CARDS BLOG CHALLENGE! 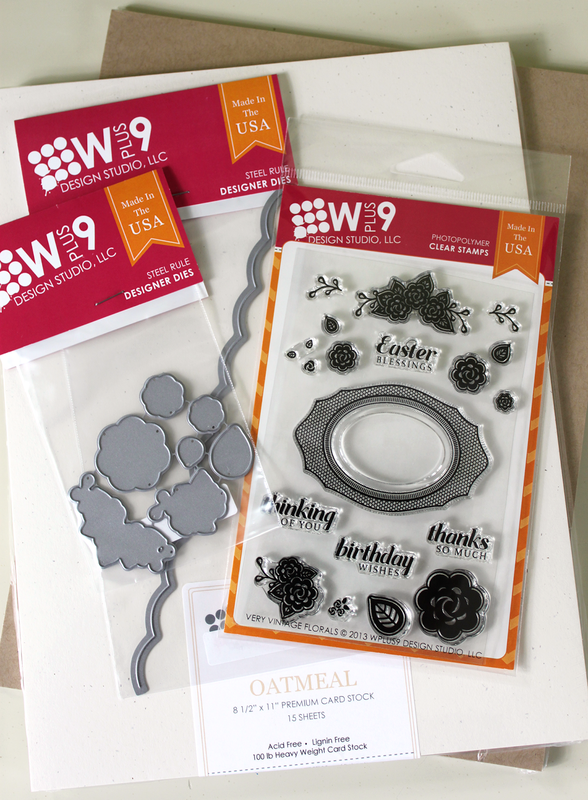 This month's challenge is a sketch and we are offering up a Wplus9 prize package, including brand new products just released yesterday! And link it up over on the CARDS Blog. 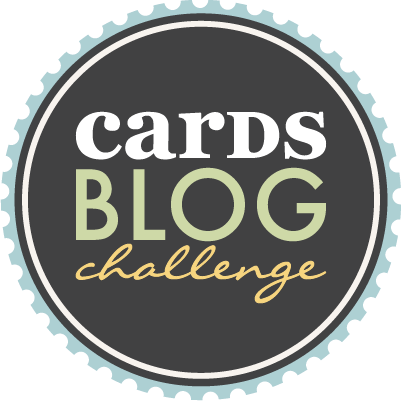 You'll have to head over to the CARDS blog for full details and rules. Have fun and good luck! It's Release Day! All of our February/March 2013 release products are now available for purchase at www.wplus9.com. 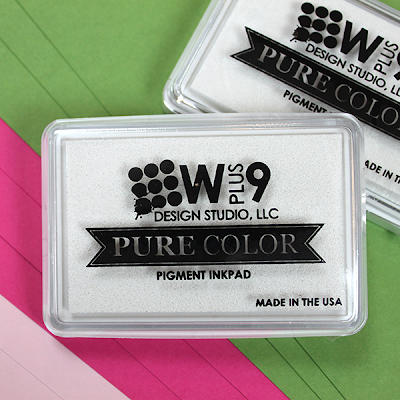 Don't forget, if we run out of something that you simply must have right now, you can also find Wplus9 products at many of your favorite retailers! Check our retailer's page for a list of where to find us. There is something about the mix of hard and soft that speaks to me. Cristina has executed perfect balance yet again with her delicate florals, strong contrast of colors and excellent use of white space. LOVE. Elise can always teach me a thing or two! 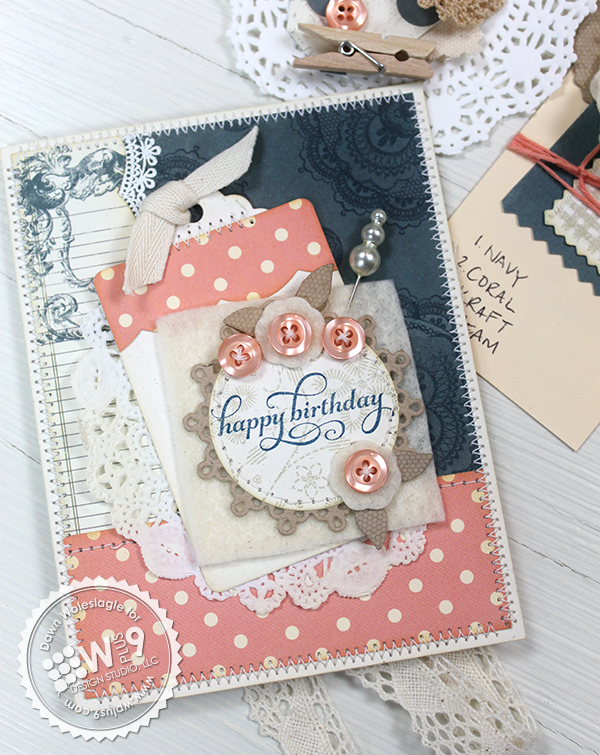 I particularly love the way she's used a collage of stamps to create her background here. And using Written On Ribbon to journal the key details of her layout? Perfect. I always look forward to Jean's cards. She has such a clean shabby style that I admire so much. Her use of colors here with Lacey Layers play off each other perfectly, drawing your attention to each detailed layer. 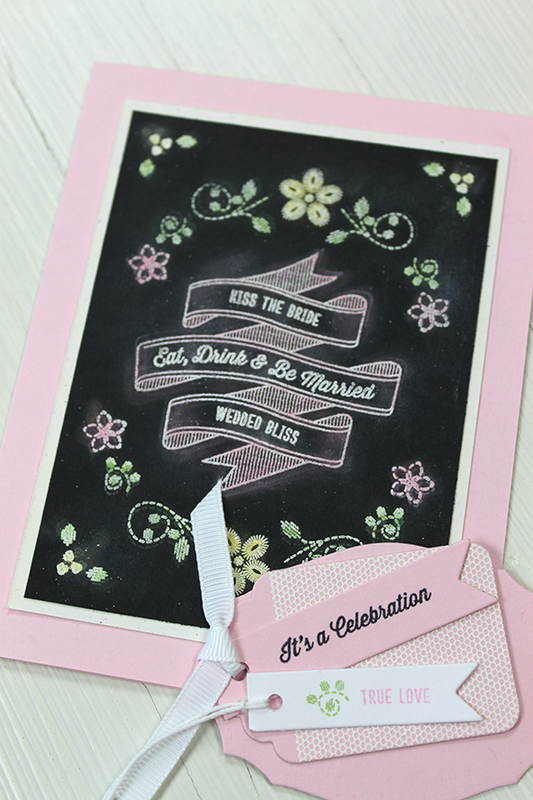 I love Jinny's black lace on this card! It was the perfect choice to play off of the rest of the colors in her card. 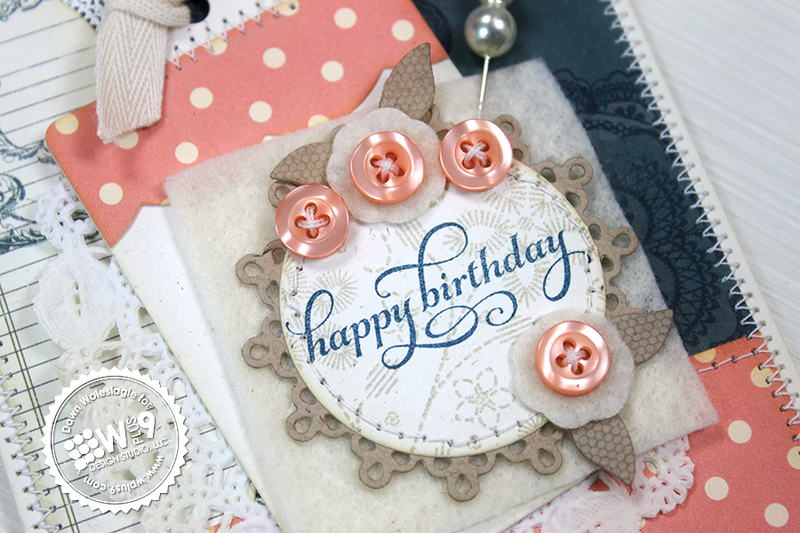 The embellishment she's created using several different dies is going on my "to-do" list! Kerrianne is giving the very trendy ombre look a go. I love the simplicity and the unexpected bling. I'm in love with all of the color here! And the mix of fonts that Lea's used to fill her banner is fantastic! Sarah shows another example of Written On Ribbon with the chalkboard technique. I love how she choose to use Very Vintage Florals, mixed with Embroidered Bouquet to completely encase her banner. The detailed trim in the background gives the banner just enough to jump off of without becoming too busy. Savitri always inspires me to do more with less. I was so happy when Christina agreed to guest design with us. And.this.right.here.is.why! I can not tell you how much I love this card. 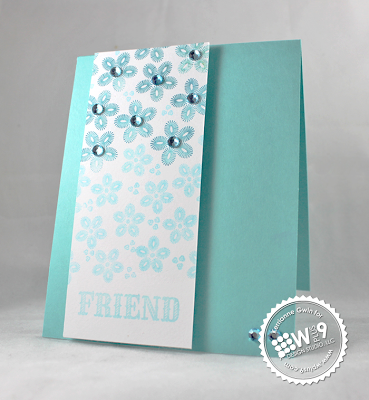 Clean, simple, to-the-point and "wow" factor to boot! And that officially concludes our February/March Release Week festivities. Thank you so much for joining us and for all of your wonderful, sincere comments! I have some more fun stuff planned for the rest of the month to celebrate our anniversary. So be sure to stop back by! It's time for the full reveal! Time to show you what we are releasing this month in their entirety. All products will be available for purchase at midnight, on February 5th at www.wplus9.com and at many of your favorite retailers. Wplus9.com will be down from approximately 11:00 PM EST tonight until 12:00 AM EST while we upload the new products and prepare for the release. 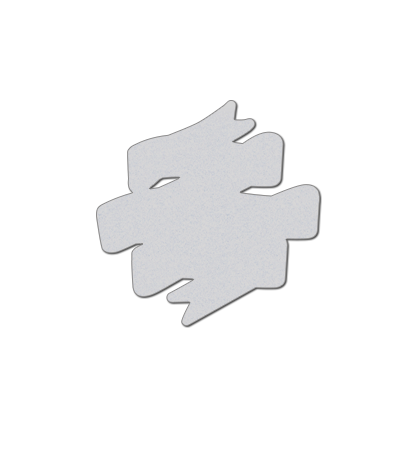 The website will be back online and all products will be available for purchase by 12:01 AM EST February 5, 2013.
contains 7 individual shapes wired together that can be easy separated if desired, approx. measurements: (A) - 1 7/8 x 1"; (B) - 1 1/4 x 1"; (C) - 7/8 x 5/8"; (D) - 1 1/8"; (E) - 11/16"; (F) - 1/2 x 3/8"; (G) - 9/16"
contains 4 sets of nested dies (10 individual dies total), approx. 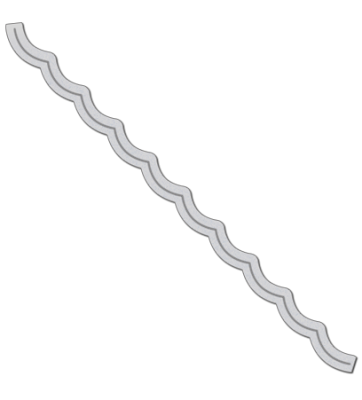 measurements: (A) - 2 5/8", 1 3/4", 1 1/4", 3/4"; (B) - 1 3/4", 5/8"; (C) - 1 11/16", 3/4"; (D) - 2 1/4", 1 1/8"
single die, approx. measurements: 2 3/8 x 2 3/8"
I hope you've enjoyed the release so far. Thank you so much for celebrating our Anniversary Release with us. We have one more day of group projects tomorrow from the Design Team! But in the mean time, how about one more giveaway? Want to win the entire release, including everything listed above? Just leave a comment letting us know what you'd like to see more of from Wplus9 this year by 10:00 PM EST TONIGHT February 4, 2013 to enter. I will select one random winner from all comments. Winners will be posted here by 11:00 PM EST. If you've missed any of this week, be sure to catch up here and visit the Design Team as well. They have worked their magic yet again! Good Luck! I'll be back tomorrow with the group post and I have some more fun stuff planned for the rest of the month too! It's Day 3 of Release Week! If you missed day 1, you can catch up here. Today we are going to be looking at the last of the new products we will be releasing this month. All previewed items will be available for purchase on February 5th at www.wplus9.com as well as at many of your favorite retailers. 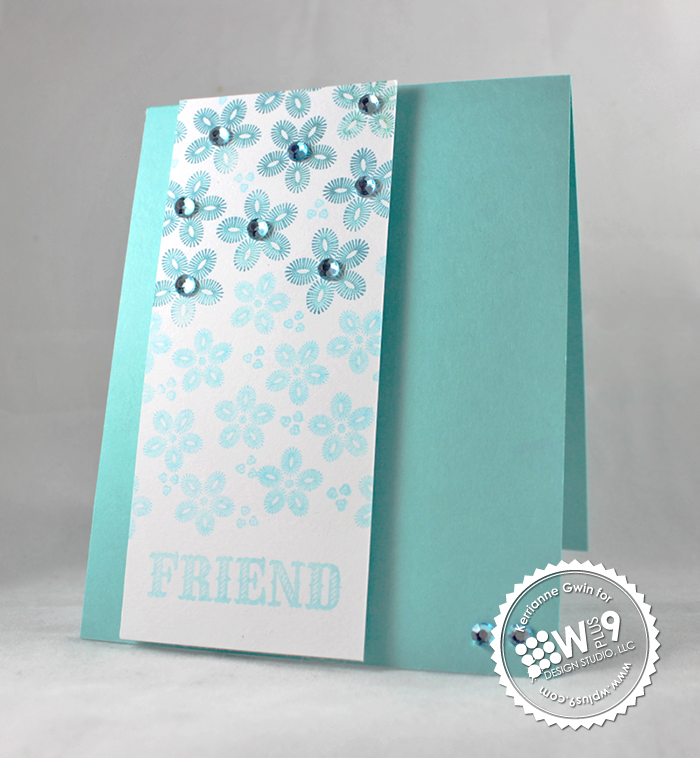 Today we have one last stamp set and companion die to introduce. It's a simple set packed with possibilities! There is nothing more timeless or classic than a ribbon banner. And with it's resurgence in design thanks to chalkboard art, I thought now would be the perfect time to create an easy to use set for all occasions. I am so excited to have this set in my stamp collection. There are 23 different sentiments to fill that banner with! There are a few main sentiments in a fun script font, and then several supporting sentiments to choose from for each main sentiment. Of course, I couldn't wait to try out the chalkboard technique. I decided to pair it up with Embroidered Bouquet, can't get enough of that set. And of course those blooms were screaming at me for some color. So instead of doing all white, I wanted to see if I could emulated colored chalk. After stamping and embossing, I over stamped just a tiny bit with our white ink. I had to stamp off once though because our white ink is so pigmented it came across too bright when stamped full strength. To add the color, I used pastels and a q-tip. I just brushed over the embossing, no need to be neat about it. It's supposed to look a little messy, right? 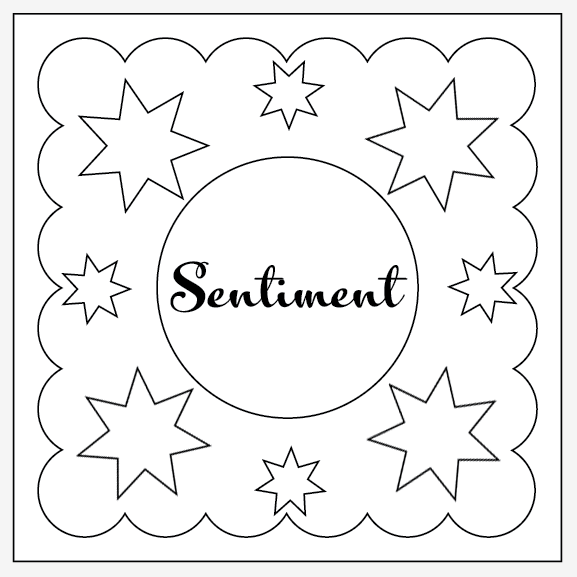 And of course, once I was finished, I had a bunch of little do-dads laying everywhere, so I picked up a few, and put them together as a little gift tag using some more of those sentiments included in Written On Ribbon. Next up, let's take a look at that companion die in action. Both of my samples today are on the simple side. I was feeling under the weather and by the time I felt better, I was running out of time! But thanks to the classic design of this set, it was no problem to come up with something eye-catching in a pinch. 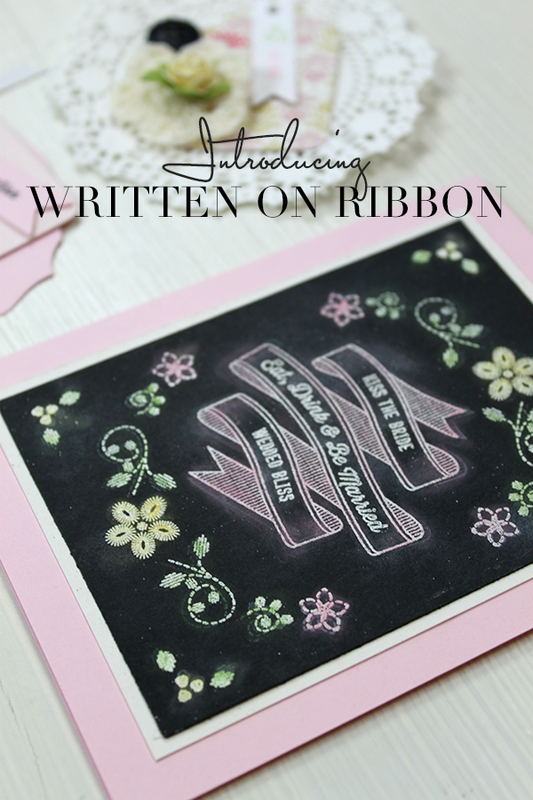 By using the Written On Ribbon Die I didn't have to worry about masking! 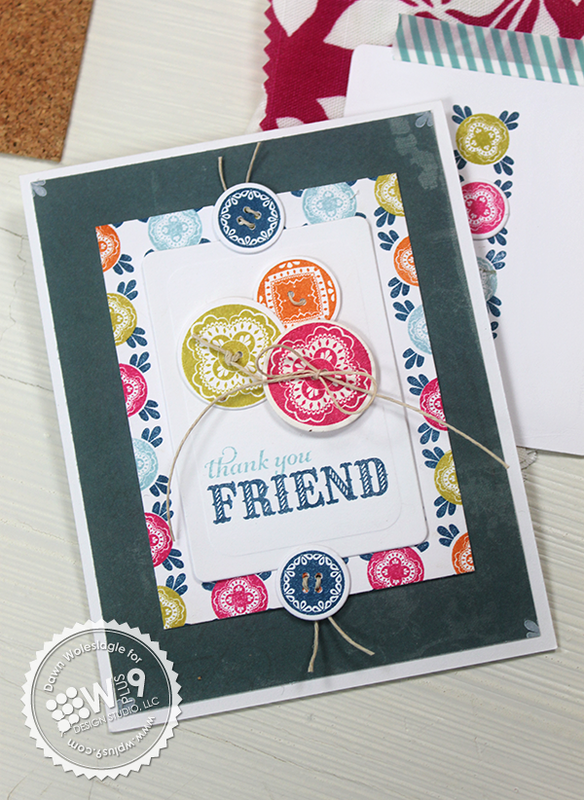 I used the floral arch from Spring Tags as my base and stamped it in Navy at the top and bottom. 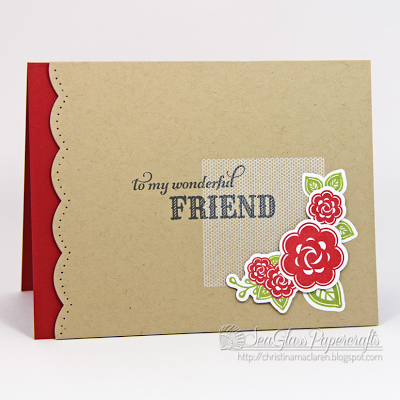 I die cut and stamped a few of the flowers using the Very Vintage Florals stamp set and die. I added them to the center of each arch. 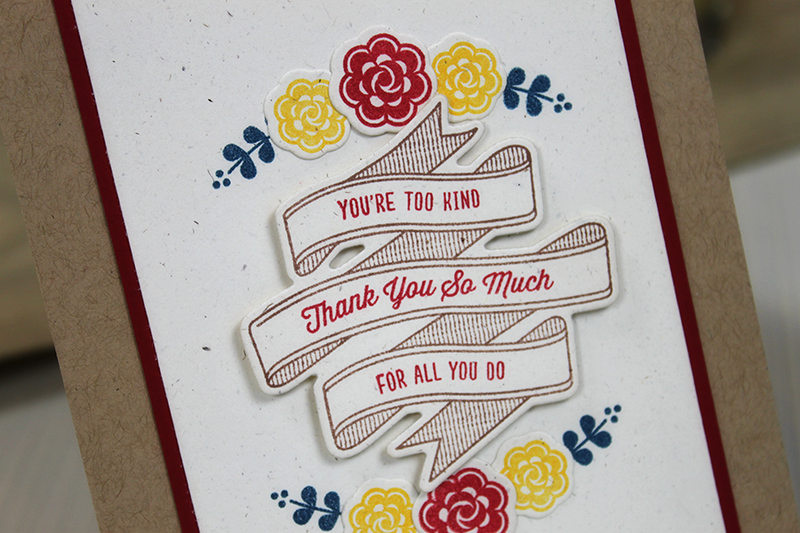 I die cut and stamped the banner from Written On Ribbon and added the "Thanks So Much" sentiment along with "You're Too Kind" and "For All You Do". 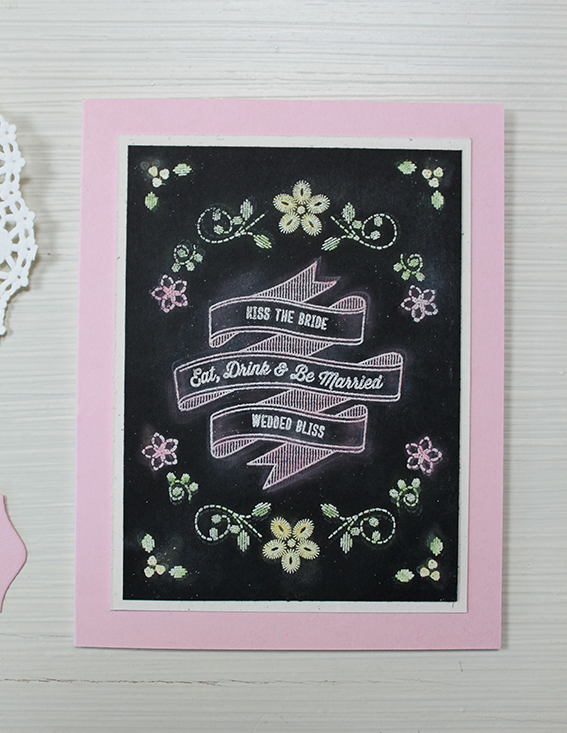 I matted it with Cupid's Bow card stock and adhered it to a Kraft card base. That's it! Simple and classic. Oh, and that little tag, another "scrap". 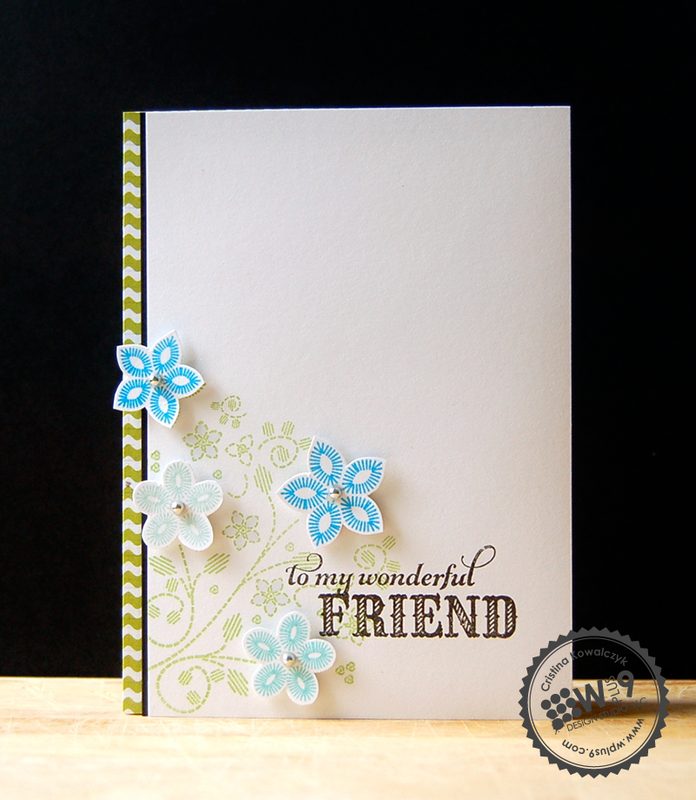 I added a die cut flower from Very Vintage Florals on top of the blue layer die cut and stamped from Lacey Layers. 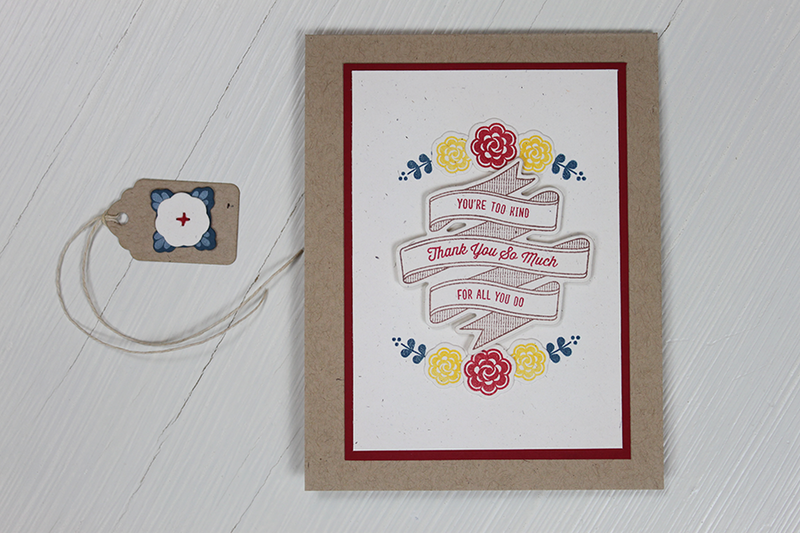 I then stitched them using red DMC floss onto a tag cut with the Timeless Tags Die. That is definitely making it's way onto a card in the near future! As I've mentioned over the last couple of days, we will also be releasing a few more consumable items. We are adding three new card stock colors and yes, we are releasing our first ink! 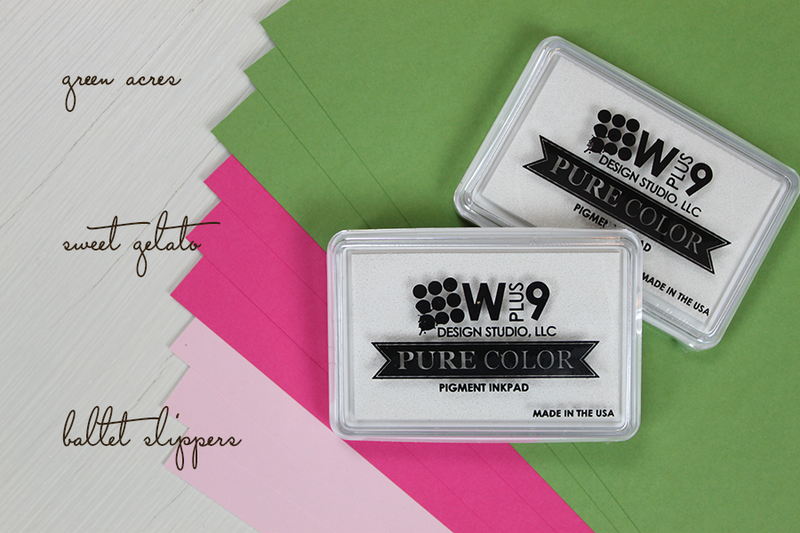 We are excited to introduce the first of our pigment inks. 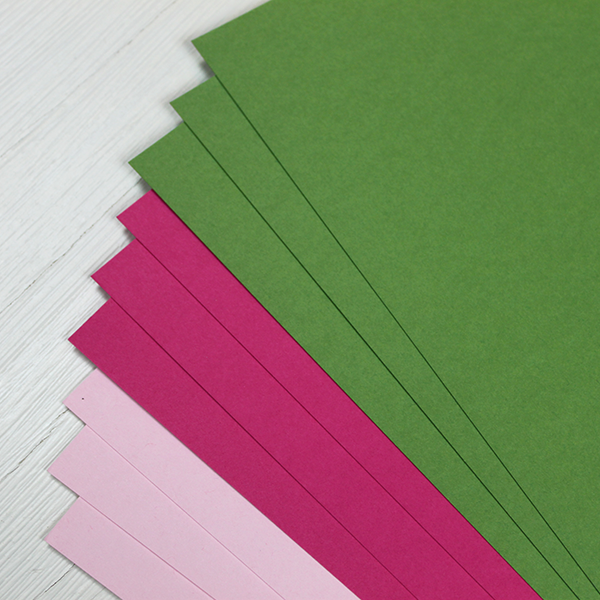 The Pure Color Pigment Ink is a multi-purpose craft ink that worlds on a variety of surfaces. I hope you guys are as excited as we are! The Design Team is ready to take it away and show you more of this great set! Please stop by and check out what they are eager to share with you. On to the giveaway! 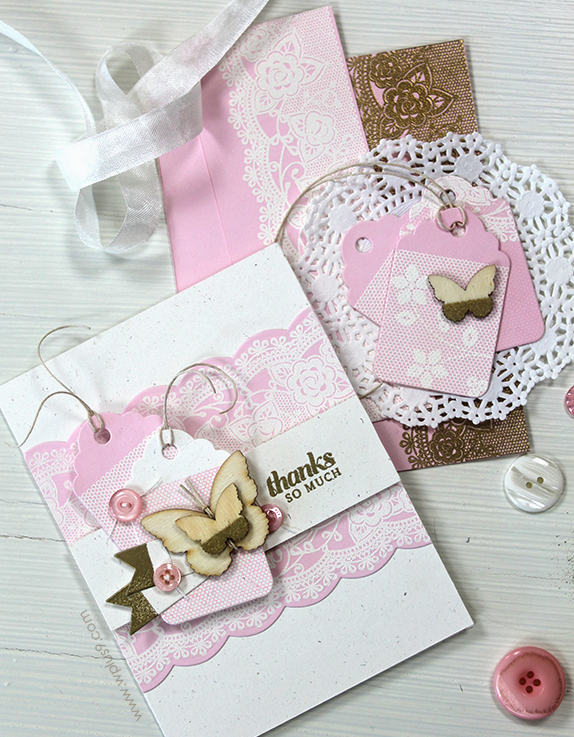 Would you like a chance to win today's featured products: Written On Ribbon and the Written On Ribbon Companion Die? Just leave me a comment by 9:00 AM EST February 4th letting me know which set you are most looking forward to seeing tomorrow. I will select one random winner from all comments. Winners will be posted here. Thanks for stopping by, I'll be back tomorrow to show you the Full Reveal. Yep, every set in it's entirety with a chance to win the whole thing, including the new card stock and ink! See you then! Welcome back to day 2 of Release Week! If you missed day 1, you can catch up here. Today we are going to continue to take a closer look at the products that we are releasing this month. All previewed items will be available for purchase on February 5th at www.wplus9.com as well as at many of your favorite retailers. Our first set of the day coordinates beautifully with the sets we introduced yesterday. Many of the same lace patterns can be found in these images, making them a go-to for that soft ethereal look. But, they can easily be transformed and become vibrant modern designs. That's where I'm taking it today. It is a party after all, right? 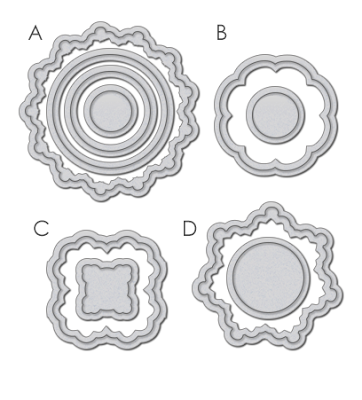 We took those lace borders and created several circular layers with them. 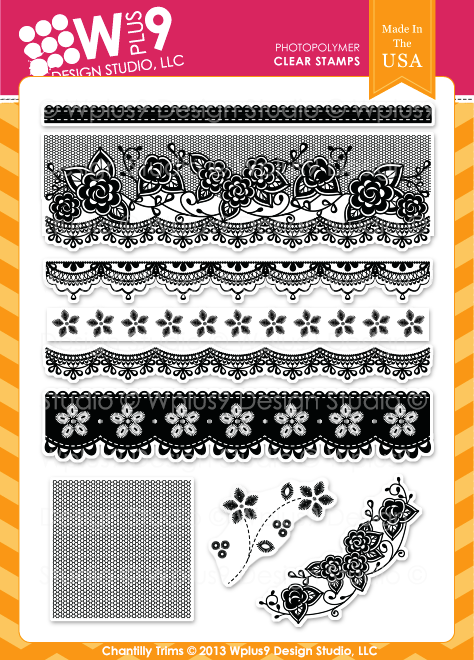 You can use each layer by itself, as tags, to create background patterns or nest many of them inside of each other. Add the companion dies and the possibilities are endless! I had a blast creating this little party ensemble! These are much brighter colors than I normally work with. But I always love trying new things and am so happy that I did. 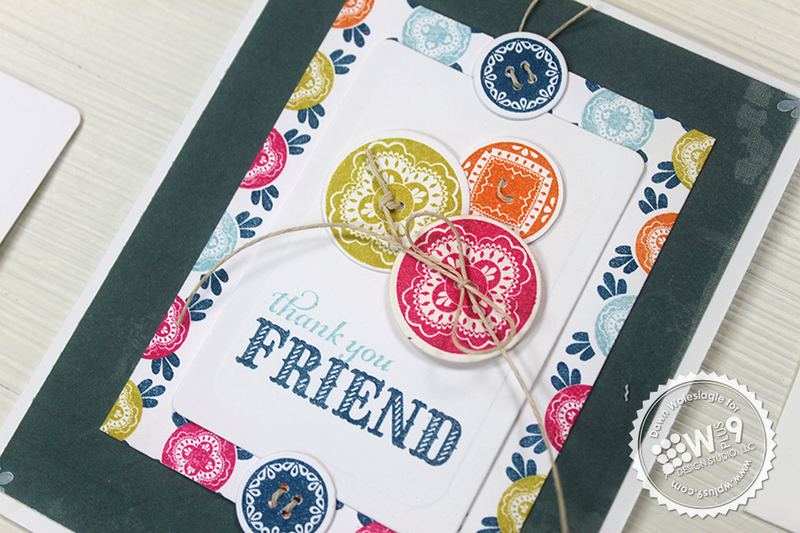 To create the cluster of colorful medallions I stamped 2 of the outer rings and then die cut them. 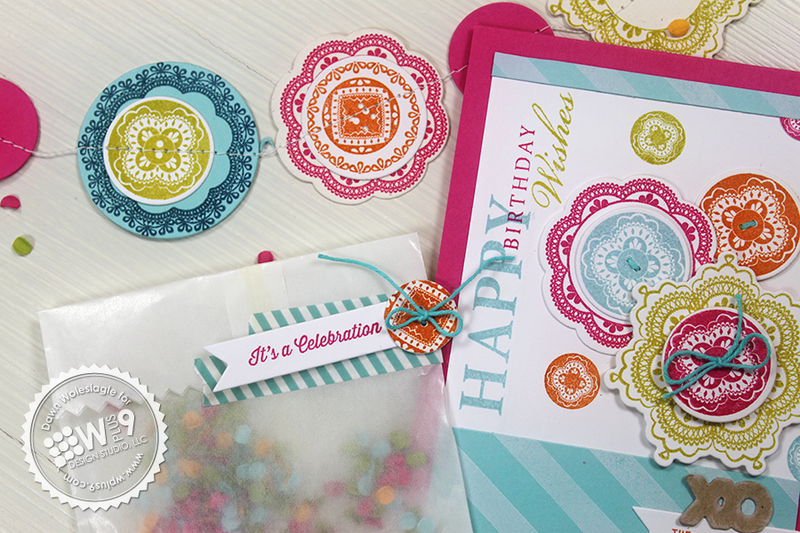 Since the centers of the outer dies in each set are open, it makes stamping and then cutting super easy. I then die cut 3 of the centers and stamped them. 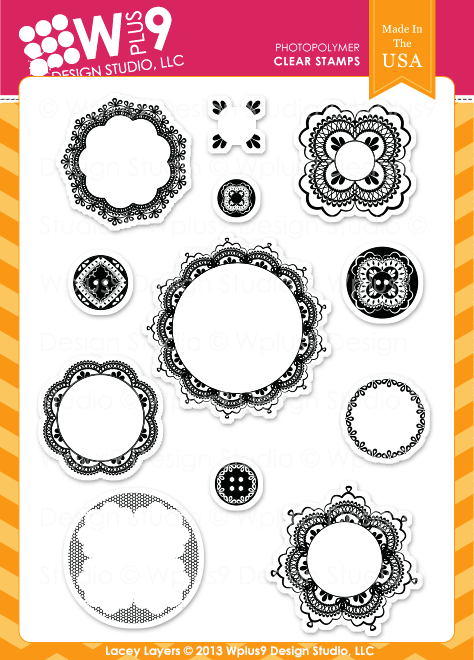 These centers can be used as buttons if you'd like. I opted to design these dies as solid circles vs. die cutting the button holes. 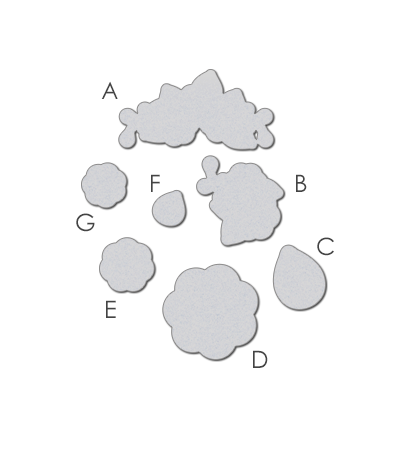 This way they can be used for simple circles, or you can use a standard hole punch to punch out the "button holes" if you'd like to thread them. 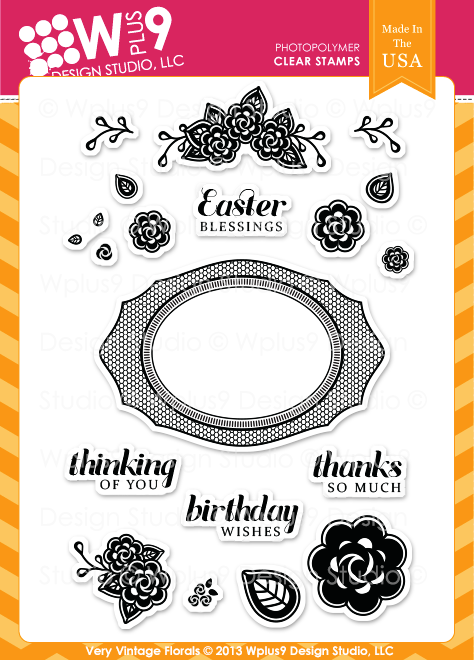 I added the sentiment going vertically up the left side using a mix of fonts from the Spring Post stamp set. I wanted to add a little order to all of that chaos and I thought a bold stripe pattern would be perfect. 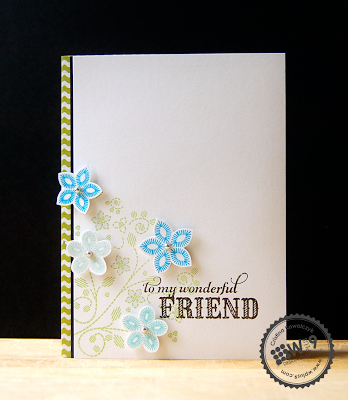 I stamped the stripe from Country Charm in our white ink onto Lake House card stock. All of this was matted on another new color we're adding to the store, Sweet Gelato. How cute would these little bags be as favors? 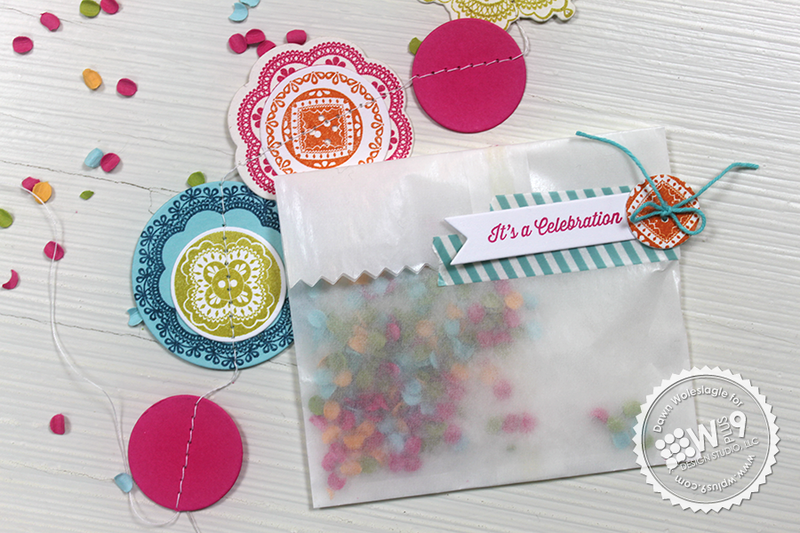 Just add a little candy to each bag or a small toy along with the confetti for a fun and festive treat. 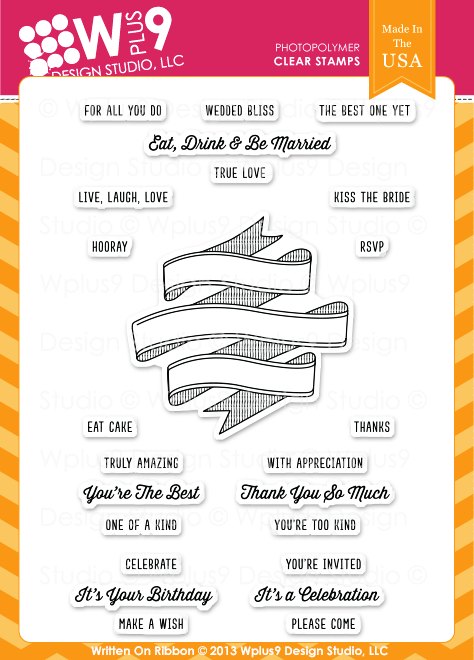 Or even use them as place cards. Switch out the sentiment for the person's name! So easy. Both the little banner and the treat bag took me 5 minutes to make. Granted I had a ton of stuff on my desk...I literally look around, started picking up this and that, and then stitched it together! For the bag, I started hole punching some confetti for the photos...and it hit me. I grabbed a glassine bag, cut the top down, scooped up a hand full of the confetti, taped the bag with washi tape, and added a banner and button. Done. The sentiments on both banners are from Written On Ribbon, which I'll introduce tomorrow. I love how festive they all look together. 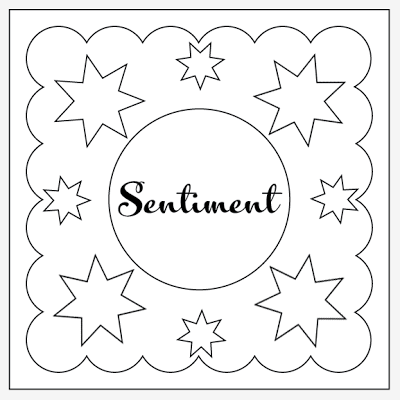 For my next card, I wanted to create some patterns. 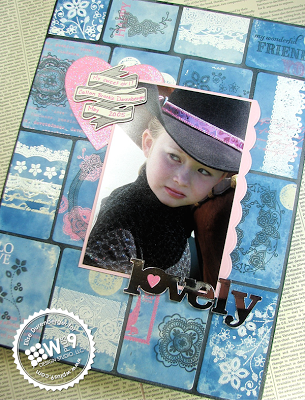 I used the two smallest stamps in the set to create a beautiful background pattern. I ended up covering up most of the pattern, but love how the scale was perfect and created a border around the second to largest rectangle from Clear Cut Stackers: Rounded Rectangles! 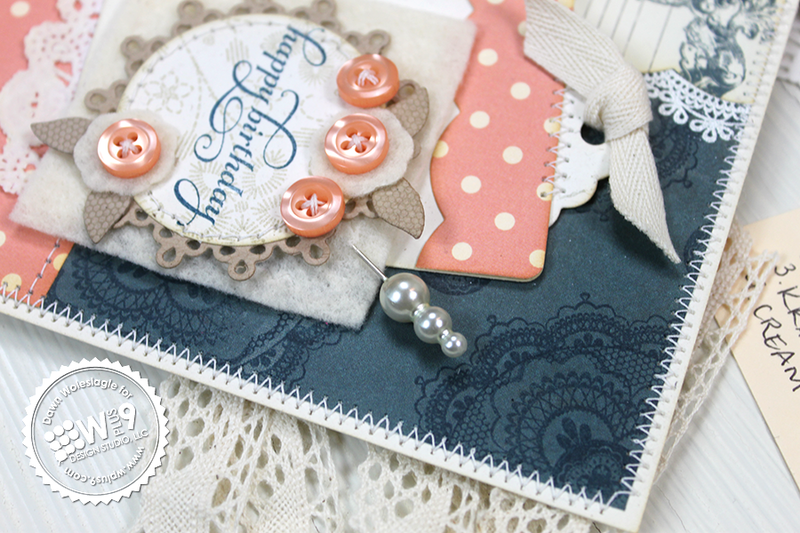 I stamped my sentiment, from Embroidered Bouquet and added a little cluster of faux buttons. Although this one has a lot of the same colors as the last project, I think the navy blue gives it a southwestern feel? Don't you think? Now it's time to take a closer look at the next stamp set we are introducing. This set is the epitome of spring. 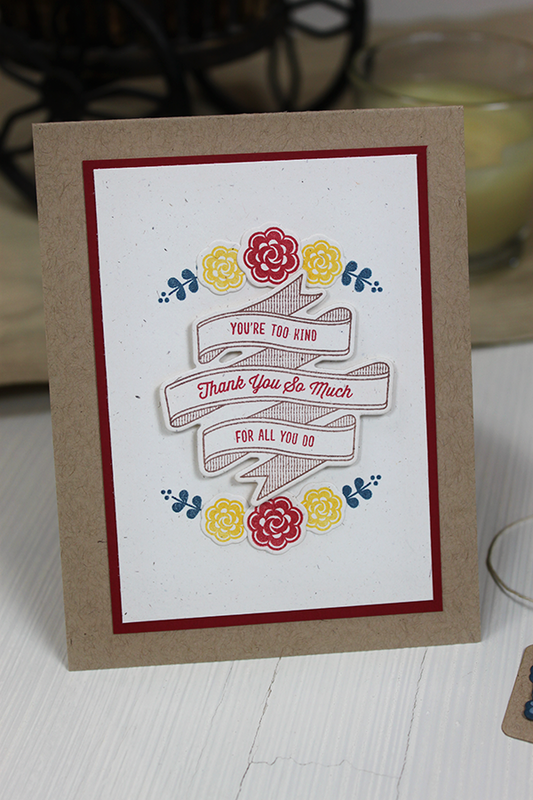 It's filled with faux stitched florals and beautiful fonts that also look amazing when heat embossed. There is a large pre-assembled floral bouquet. 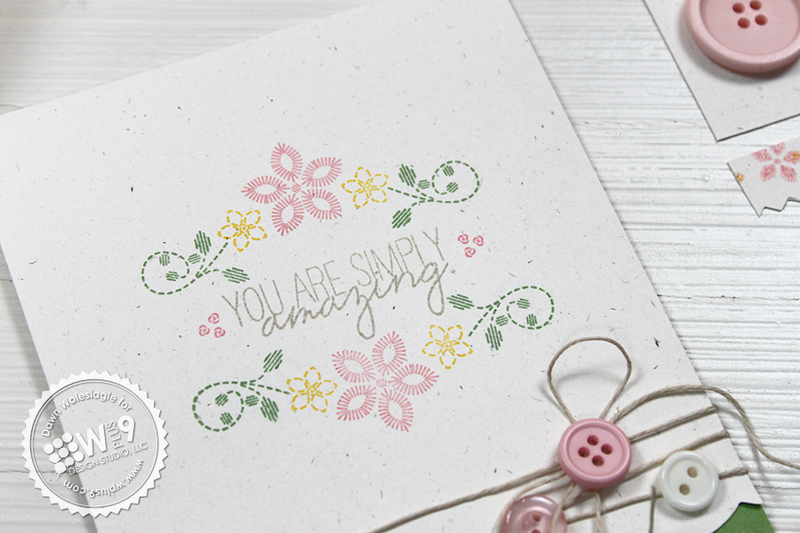 But the stamper in me fell in love with all of the separate pieces that allow you to build your own floral sprays and patterns! To build my frame, I used one of the larger flowers and one of the smaller ones flanked on each side. I added my greenery, which comes in two separate pieces and contain mirrored images, to each side. I then mirrored this pattern beneath my sentiment, from Quite Like You. 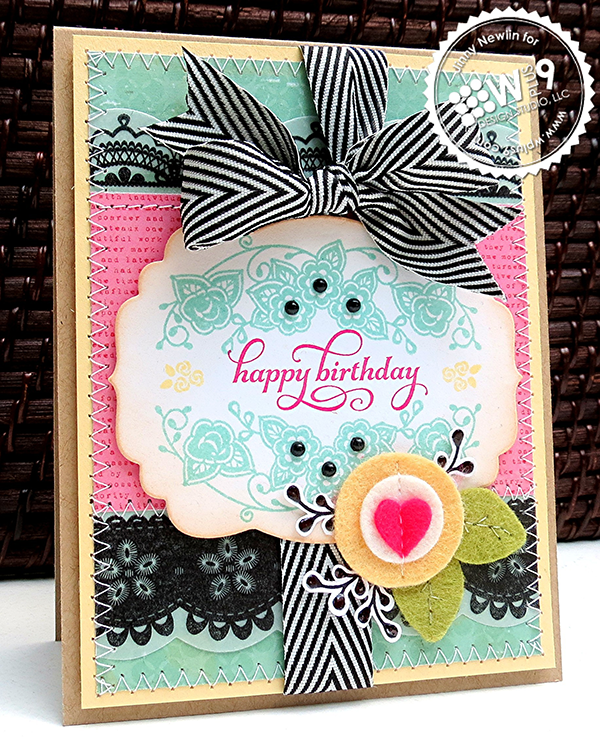 I kept this one very simple and just die cut the bottom edge using the Scalloped Border Die and backed it with a strip of card stock in Green Acres. 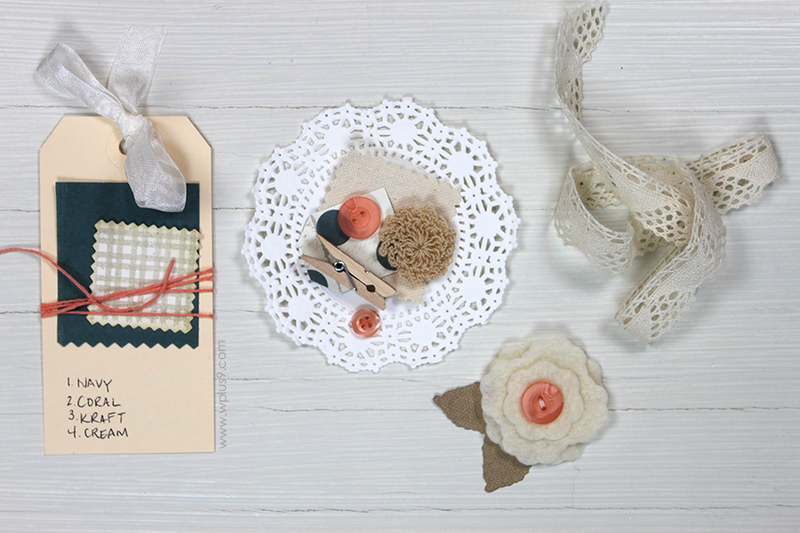 A little twine and some random buttons add the finishing touches. 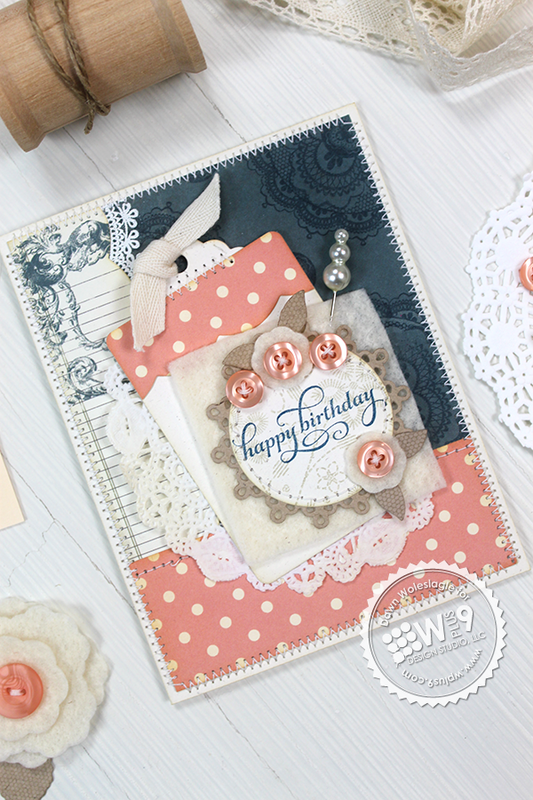 My final sample today uses both sets to create a soft and very feminine birthday card. There's quite a bit going on in this card. I used multiple sets and products from the entire release. 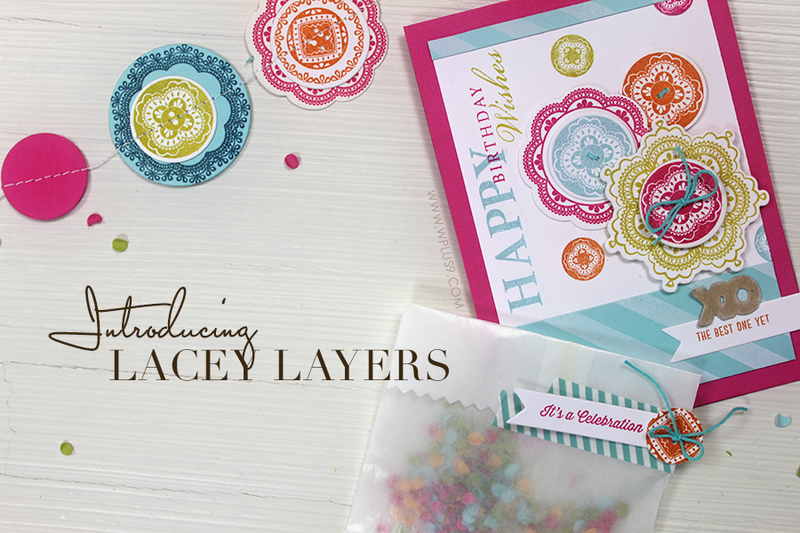 I started by stamping onto some patterned paper, using the largest image from Lacey Layers and stamping the inner elements as well. Assembled, it is such a gorgeously detailed image. 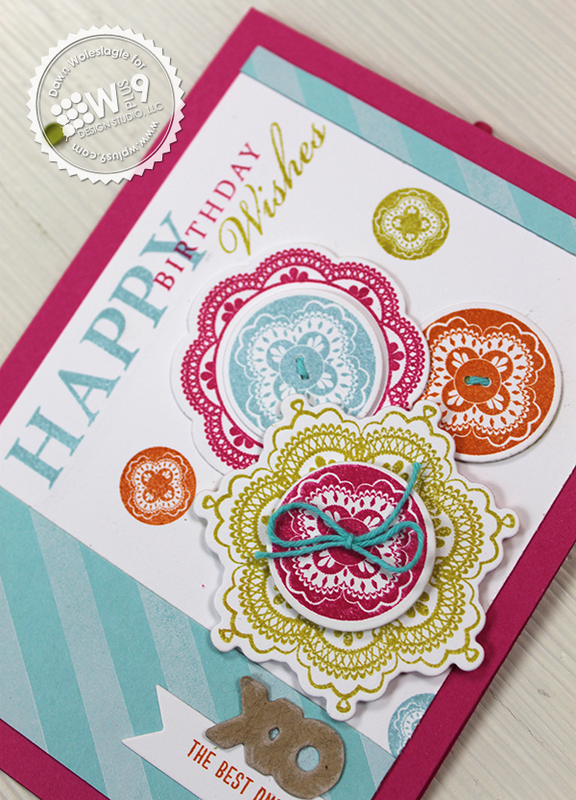 I used the Scalloped Border Die on the left side and heat embossed another lace trim from Chantilly Trim. For the focal point, I stamped the large assembled bouquet from Embroidered Bouquet onto the 1.75" circle from Circle Stackers 1 and matted it with a doily die cut from the same set. What about that font? Love that font. 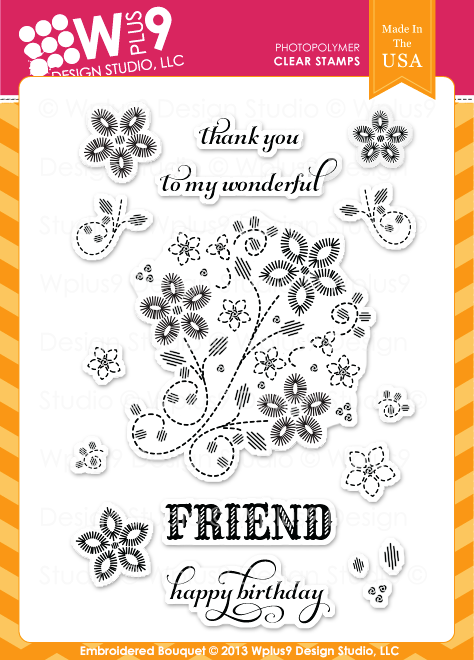 The sentiment is also from Embroidered Bouquet. 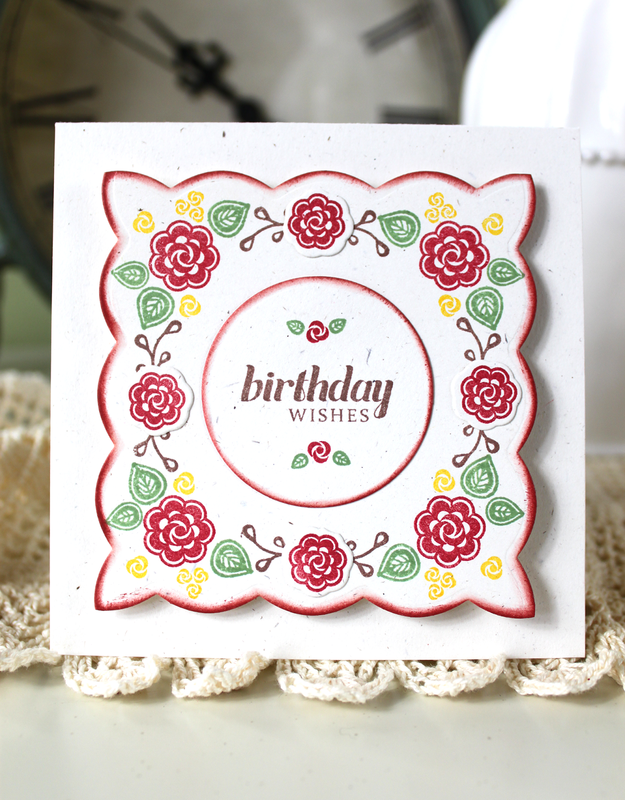 To create the little flowers, I used one of the flower dies from Very Vintage Florals, which looks perfect with the die cut leaves from Folk Art Florals die! After making the little buds, I wanted to see if I could make a jumbo one...and guess what, the frilly square die in Lacey Layers makes an excellent flower. Here I cut two and layered them on the bias. 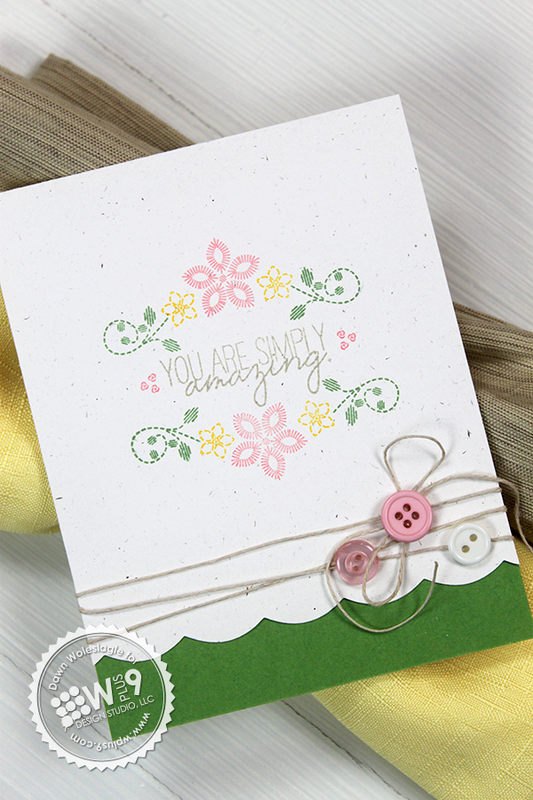 I added the large flower from Very Vintage Florals to the middle and topped with a button. 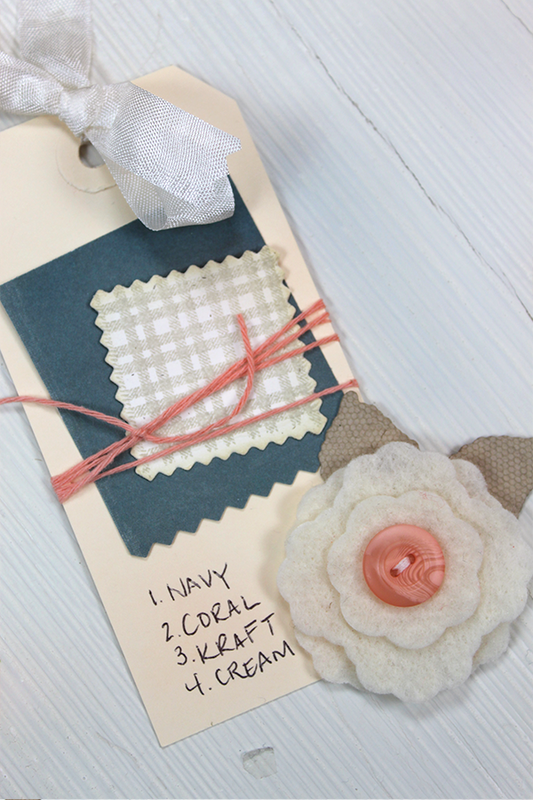 I added it to a little inspiration tag to hang from my board so that I won't forget this color color combo. And with that, I conclude day 2 of the release. At least from me that is. The Design Team has plenty to share with you and they are amazing! Please stop by and check out what they are eager to share with you. I hope I didn't overload you! I wasn't kidding when I said I was so inspired by this release. 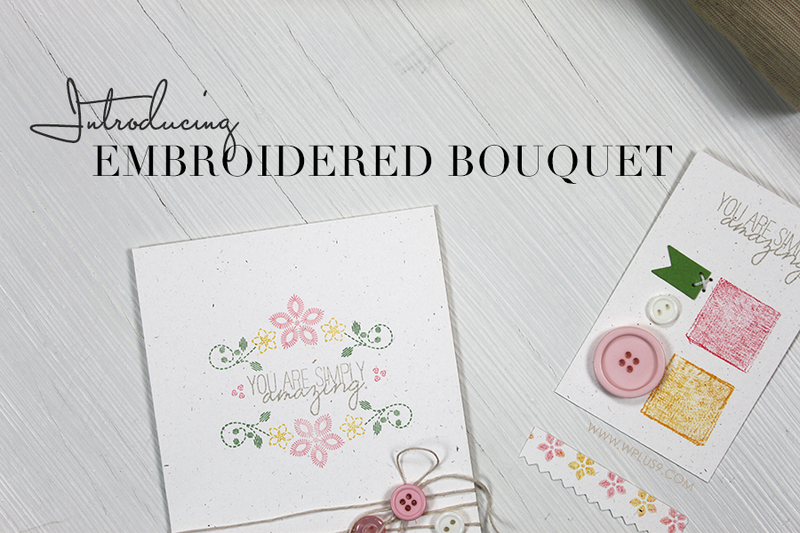 Would you like a chance to win today's featured products: Lacey Layers, Lacey Layers Companion Die, and Embroidered Bouquet? Just leave me a comment by 9:00 AM EST February 3rd letting me know what's most inspired you so far this release. I will select one random winner from all comments. Winners will be posted here.